Our professional technicians can help you with every type of problem you may be experiencing. Check out some of our latest projects to see what we've been up to recently. 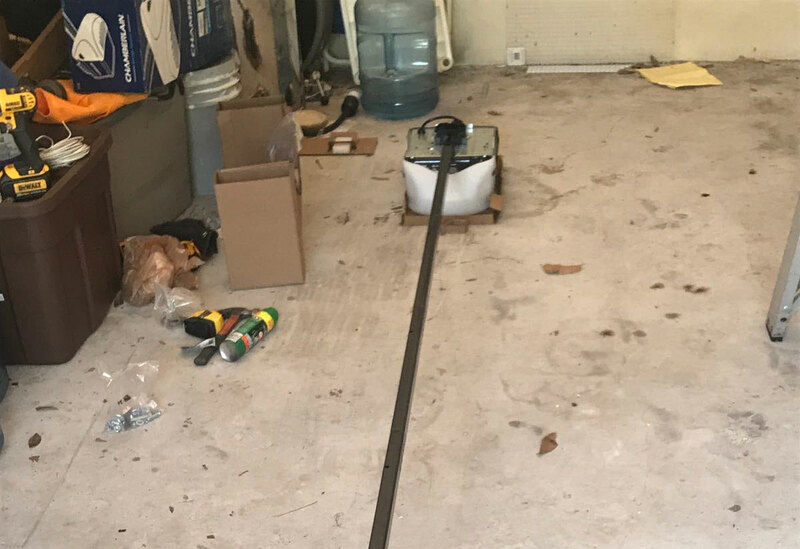 Customer Issue: One garage door track was bent and after being neglected for a while it caused a few rollers to pop out of the track. 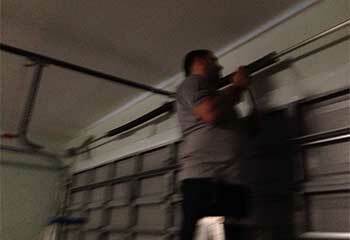 Our Solution: We placed the door on ladders to stabilize and secure it in place. Then, we repaired the track damage and straightened the bent section. We then pushed the rollers back into the track and then opened and closed the door several times to test its movement. Customer Issue: The customer’s opener was taking longer and a longer time to start, and was making disconcerting noises. 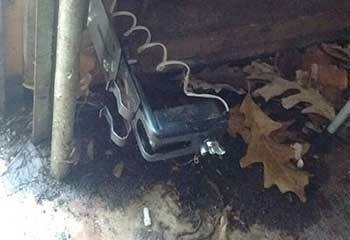 Our Solution: Once the motor unit was disconnected from the door system and unplugged, opening the device up showed that the motor was full of dust and cobwebs. After replacing both the motor and circuit board, the opener was responding much more quickly and quietly. Our Solution: We quickly arrived at the customer's home and were able to notice right away that their garage door was tilting unevenly. We then carefully removed the damaged spring and replaced it with a new one. We replaced the second one as well, as it was about to break at any moment. Then we adjusted them both and made sure the door was able to operate smoothly once again. 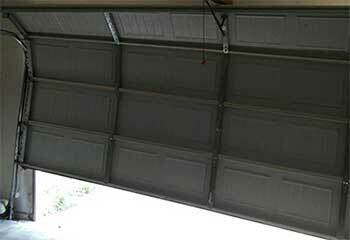 Our Solution: After arriving at this customer's home, we started working on his garage door right away. After a quick inspection and a couple of tests, we quickly discovered the root of the problem was with the safety sensors. They were misaligned and kept falsely detecting an obstacle, which forced the door to reverse each time the customer tried to close it. We quickly realigned the sensors and made sure the door was able to close safely. Customer Issue: A damaged door panel. 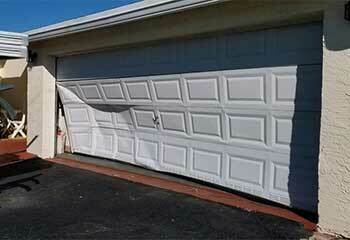 Our Solution: When we arrived at this customer's house, her garage door looked in a bad shape. The accidental collision had completely dented several of the steel panels. We removed them all and installed new matching ones in their place. We then tested the door to make sure no other part was damaged in the accident. The track felt a little loose, so we tightened all of its bolts and applied the rollers with some lubrication while we were at it.